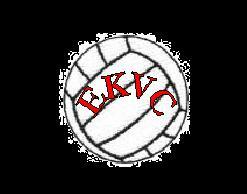 EK Volleyball Club Barsha Dubai is a well established sports service provider to the citizens and the visitors of Dubai. Entertaining matches of indoor volleyball will give you a chance to enjoy your favorite match. Special tournaments are held in order to make this sport more enthusiastic. Coaching classes are also held for those who wish to learn special playing techniques. Medical facility is also available in order to avoid any mishap. This sports organization also has its own personal team of volleyball players. For all those who are fond of playing or watching volleyball, then EK Volleyball is an ideal place for them. - Indoor tournaments are held at various locations under the supervision of EK Volleyball Club Barsha Dubai. - Besides tournaments, coaching classes are also scheduled for those who admire volley ball. - Special coaches are always available at the venue to assist player with special sports related techniques. - In case of any mishap or injury, you can also avail the facility of medical specialist. On Sunday, EK Volleyball Club Barsha Dubai provides its service at Dubai American Academy between 7:00 pm till 9:00 pm and then from 9:00 pm till 11:00 pm. On Friday and Saturday, the activities are conducted after 10:00 am. 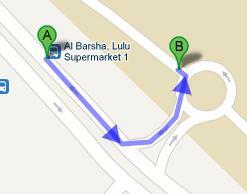 Al Barsha, Lulu Supermarket 1 stop is 130 meters away from the Dubai American Academy where EK Volleyball Club Barsha Dubai events are conducted. A minute walk is required to cover the extent of distance between two locations. Route number 93 from The Greens, Terminus and F30 from Mall Of Emirates Metro Station 2. From the stop, you will have to head in the southeast direction and then take a left turn. Keep on walking until you cover 58 meters and then the last left turn will help you in reaching at your destination. For a detail view of route map take help from this Link.